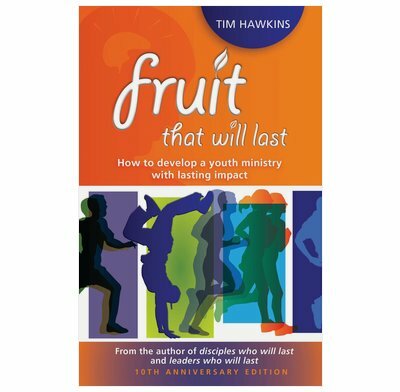 Discover the practical steps you need to impact your youthwork to make disciples of all nations fruit that will last. How can you design your youth ministry so that it will have lasting impact on the lives of your young people? How can you make sure that the youthwork at your church is achieving the one thing that God wants you to achieve? Step inside the heart and passion of Tim Hawkins, one of the most experienced youth pastors around today. Step inside the inner strategy of 'Crossfire', one of the most respected and fruitful youth ministries around. This book will impact and change your youthwork whether you have 5 or 500 students. You will discover the practical steps you need to make so that you will be fulfilling Jesus' heart and passion to make disciples of all nations Fruit That Will Last. 2. Will your Fruit Survive Long-Term? 10. The Strategy of "Bringing In"
11. The Strategy of "Building Up"
12. The Strategy of "Sending Out"
13. Programming for "Bringing In"
14. Programming for "Building Up"
15. Programming for "Sending Out"